You can create a symbol without any artwork in it. In the Library view, select the Symbol folder. In the Library view's right side, right-click and select New Symbol. 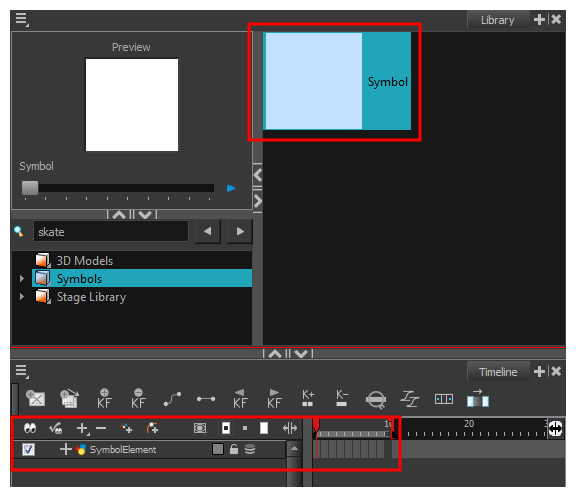 From the top menu, select Insert > Create Empty Symbol in Library. The new empty symbol appears in the Library view. The symbol is ready for you to edit (add content to). To go back to the root timeline, click the Top button in the Camera view. To rename a symbol once it is created, right-click on the symbol and select Rename.